If you’re in the middle of active custody litigation, Texas courts won’t take it well if you suddenly move out of state with your children without permission. Section 153.001(a)(1) of the Texas code specifically cites that it is the state’s policy to ensure that children have frequent and loving contact with both parents. If you take steps to alter your children’s contact with their other parent by moving, it could conceivably cost you custody. You might be able to move after a court has decided custody. Section 153.333 of the Texas Family Code allows the custodial parent to establish where she and her children will live when a custody order is made. Therefore, if you win custody, you can state where you’ll reside with your children; the court will include this in its order. However, you can expect the other parent to argue hard against giving you custody if he knows you’ll be moving his children out of state. 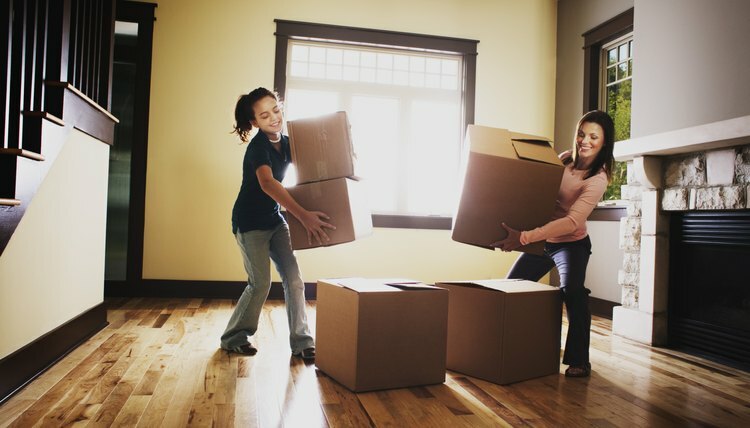 You'll have to prove that the move is in your children’s best interests and that you're not moving in an effort to curtail their relationship with their other parent. If you’re successful, and after you name the geographical location where your children will be living, you can’t move again without court permission. Custody issues are "Suits Affecting the Parent Child Relationship," or SAPCRs, in Texas. SAPCRs are underlying cases within every divorce process when children are involved. If you were never married to your children’s other parent, then your custody fight is a SAPCR that stands on its own. Often, courts will establish temporary SAPCR orders until the court makes a final custody decision. If you have a temporary SAPCR order in place, it probably prevents you from moving while your litigation is ongoing. Most SAPCR orders, whether temporary or permanent, require that you give the other parent 60 days’ notice before you remove your children from the state. This allows him time to file an objection with the court to stop you. If you move with your children without court approval, you could find yourself in a great deal of trouble. In addition to a judge possibly awarding custody to their other parent because of your action, you could be held in contempt of court if your temporary SAPCR order requires notification to the other parent and you don’t give it. This means you could possibly go to jail. Your ex will probably file a petition for a writ of habeas corpus when you leave, which means the court will order you to bring your children back to Texas immediately. You'll have to appear in court to address what you’ve done. You generally can’t move and start your custody battle over in a new state, even if it is still in progress and no final order has been issued yet. If your litigation has already begun, Texas has jurisdiction. Under the terms of the Uniform Child Custody Jurisdiction and Enforcement Act, any state that abides by the UCCJEA is obligated to honor Texas’s jurisdiction and not intercede or begin a new custody suit. As of June 2011, only one state had not adopted the UCCJEA: Massachusetts. Even if you or your ex has not yet filed a petition with a Texas court to start a litigation, Texas still has jurisdiction over your children if they lived there for the last six months. This means that if you leave, your ex has six months to file a custody complaint in Texas and the state will order you to bring your children home so a Texas court can decide the issue. Divorcing parents often fight over custody, and sometimes the custody disputes get so heated that one parent runs to another state with the children. While the parent who takes the children cannot necessarily be “extradited”-- because extradition refers to criminal cases -- he could be forced to return the children to their home state for custody proceedings. The issue of parental relocation is one of the most emotionally charged in custody law. No matter which way a court rules, there’s rarely a happy ending for everyone involved. If the court permits the custodial parent to move, she’ll get her wish to start over elsewhere. But depending on how far she moves, her ex may be looking at a future where he will hardly ever see his kids, and her children may lose touch with their other parent. When you decide to end your marriage, moving to another city -- or even another state -- may seem like your best option, but taking your children along can complicate your divorce and custody issues. Georgia has unique laws on parental relocation, but you can generally relocate with your children without the permission of your spouse until the divorce is filed, as long as you don’t hide your child from your spouse or refuse to let him know where you are. What Is the Parental Kidnapping Prevention Act?